Dirty Words: Slapping Oprah...she's not the boss of me. Slapping Oprah...she's not the boss of me. Once again, Oprah has struck. She’s attained near deity status in my world, but unlike the One true and everlasting God, she’s fallible…or at least her writers are. I got an email from Oprah this week about managing stress and I have to say, she’s way off base. Question one- Why Am I Overwhelmed? Jeebus Oprah, really coming out of the gate strong here aren’t ya? Oprah says it’s because we have so much surplus in the world and our biology is still hardwired for scarcity and we become overwhelmed. HA! I’m overwhelmed because my bank account is perennially scarce and my bills are ever surplus. Way off base here. There is also a startling scarcity of bar supplies in my house at any given time…see that? SCARCITY. 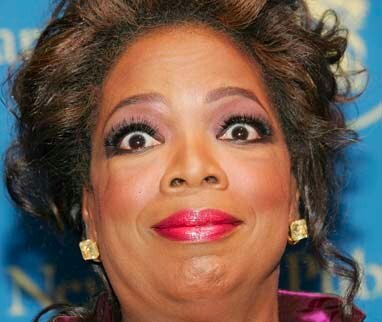 No surpluses overwhelming me, Oprah. Fail. Question two- Am I Really Busy or Does It Just Feel This Way? I shall answer this question with two questions and show my disdain for the original question thusly: Does it matter? What’s the difference? If I feel busy and stressed, I AM busy and stressed…making me justify my stress to a writer makes me MORE stressed… Maker above, where IS my gin? Question three- What’s the Priority Here? People, if you don’t know the priority yet…after all the slap faces I’ve left here, then screw you. You’re making me overwhelmed with stress that you can’t figure out the priority. My word…it’s a dense lot. You know the priority, right? This is a ridiculous question designed, I assume, to fill space. Good thing I didn't fall for it and do the same. Question four- What if I Don’t Have Enough Time? “All we are is dust in the wind” time, or actual time on a clock with a clean bill of health? Oprah and her minion have decided it’s time on the clock and their solution? No kind of solution at all. They say “It's not to manage your time better. It's to manage your energy”. Well, thank YOU very much for that worthless advice. I manage my energy with aforementioned gin and a few pills. A better question would be how to manage the anxiety from the ticking clock overhead, signaling our certain doom...this article is no help to me at all, and why Oprah’s getting slapped. I should be managing my time AND energy by not reading. But I’m an idiot…so on we go! Question seven- What Would It Take For Me to Just Say No? 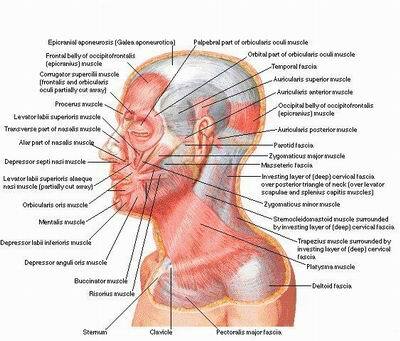 Well, it takes a conflagration and coordination of muscle movements in the face, neck and mouth to form a word “NO” into being. That’s just simple science and I’m not sure what it’s doing in a section titled “Spirit”. Moving on…I’m losing interest. Question eleven- Is It Better to Fight Anxiety or Is It Okay to Be Nervous? First of all, why does “is”, “it” and “be” get to be capitalized but the words "to" and “or” are left out? That’s wordism and I’m so offended I barely care what the answer is. I can probably guess that SOME anxiety is okay because it’s the body’s warning system of impending danger…but what’s killing me and my “Spirit” right now is the weird letter formation of the question. I’ve been knocked completely off kilter and despite the early hour of the day, I see Baileys Irish Cream in my coffee, and a slow reduction of stress. Oprah doesn’t have all answers. It’s clear that pharmacists and purveyors of fine spirits have the answers. And me…I have answers. If you follow my advice not only will you be stress free, you’ll also be home-free, child-free, spouse-free and success-free! What a feeling. Happy Friday, give Oprah a mental slap, and think fondly of your mother this week end even if she was an awful parent. Maybe she was just too stressed out and didn’t have Oprah or Dirty Words to set her to rights.